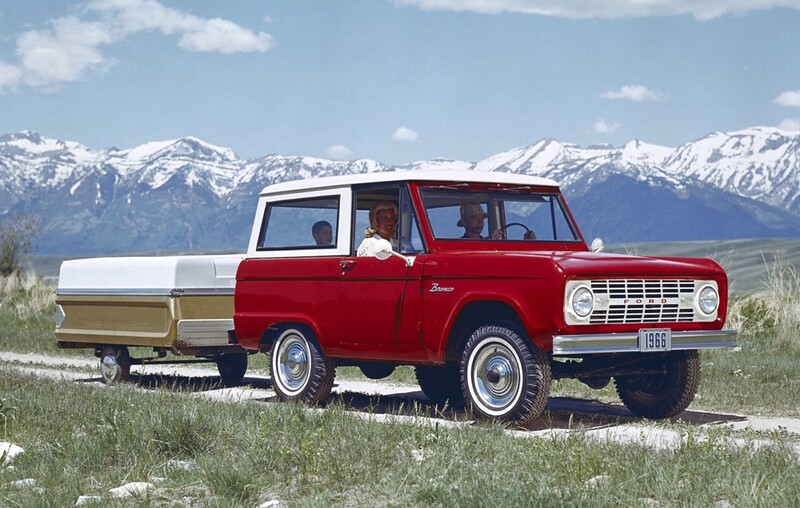 Celebrating 50 Years of the Ford Bronco | A Continuous Lean. 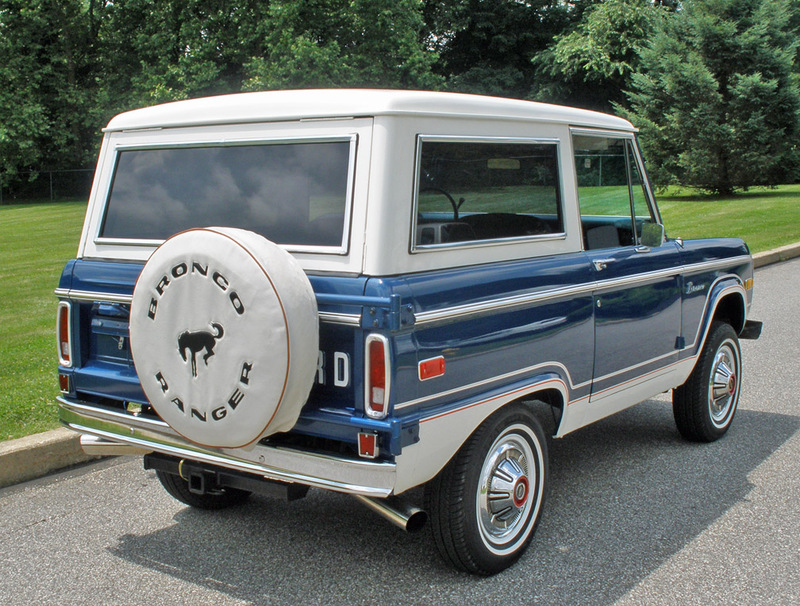 The original early Broncos were produced from 1965–1977 with larger â€œBigâ€ Broncos coming in from 1978–1996. 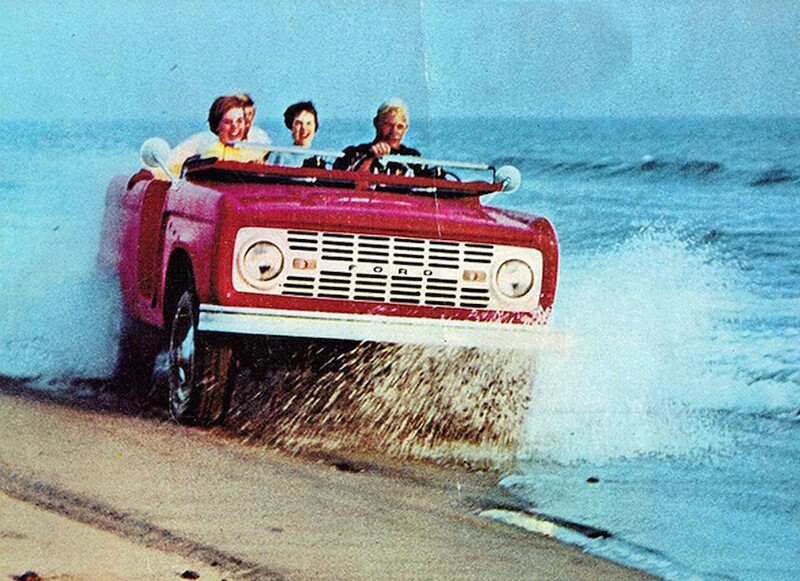 The latter included the Bronco II built from 1983–1990. 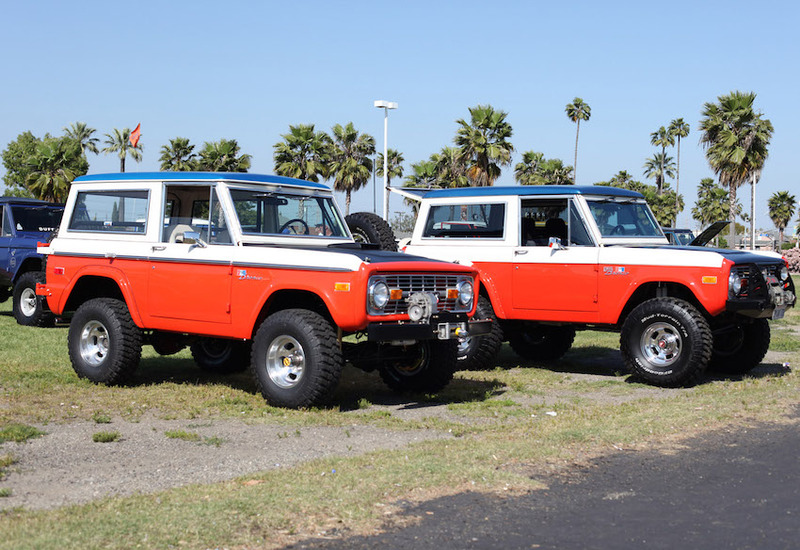 Among the rarest models are the special Stroppe/Holman/Moody (SHM) Broncos built to compete in the Mint 400, Baja 500, and Mexican 1000 (later Baja 1000) off-road races in the mid to late ’60s and early ’70s. 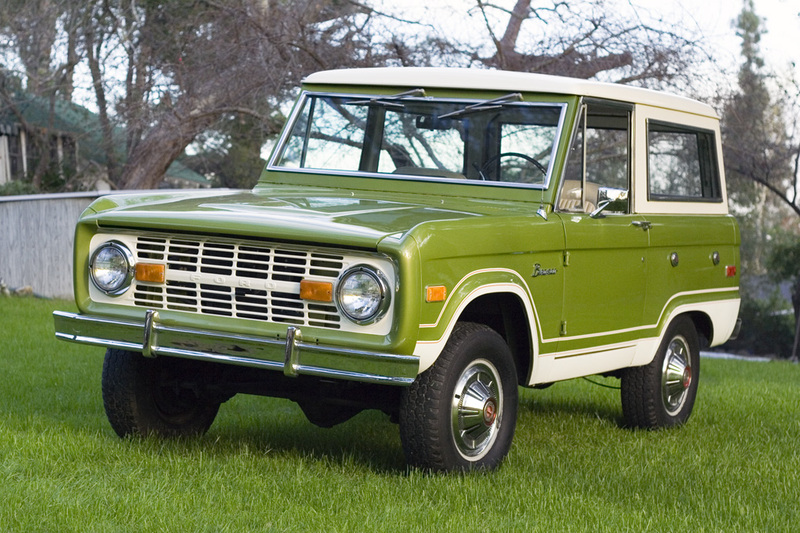 Our personal favorite is the commemorative red, white and blue â€Baja Bronco” model made from 1971-75. 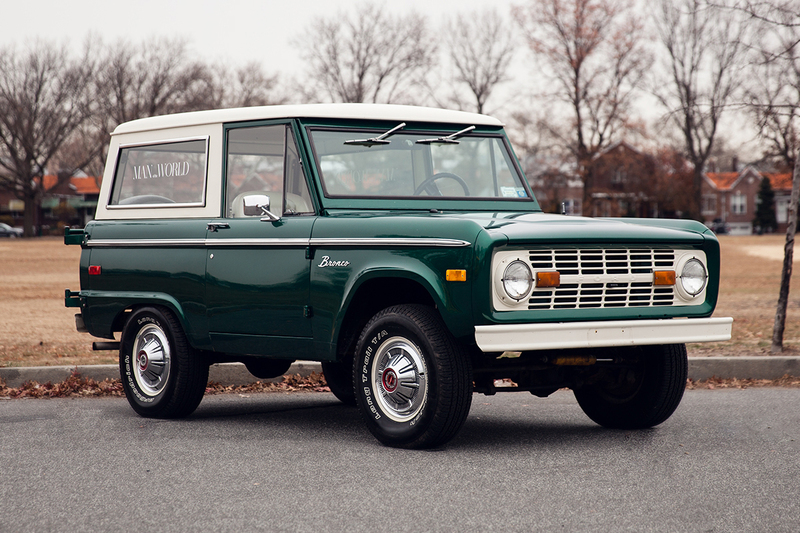 These days Man of the World sells perfectly restored Broncos, our friends at ICON pay homage to it with the awesome ICON BR, and there are even rumors that 2016 could see the return of a new Bronco in time for it’s 50th birthday. We’ll raise a PBR to that. My uncle said you still needed a pickup truck. …great styling but a clear rip off of the International Scout and that market as the big 3 crushed the smaller players…. 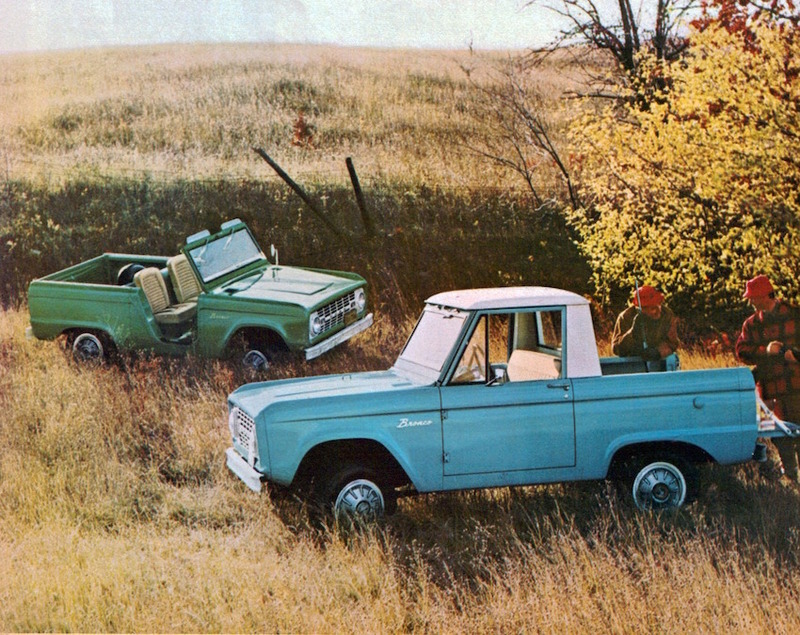 Very first truck was a 75 Bronco, many fond memories. I’m now cruising craigslist.. thanks ACL. love the classic ones before they get lifted and tricked out. sweet. 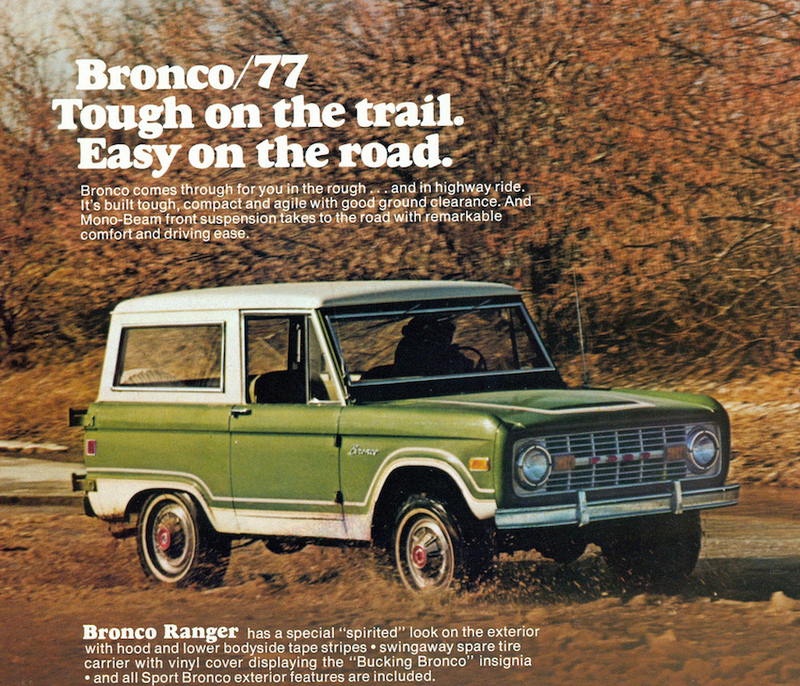 I’d have to agree that the Bronco size/style was very similar to the International Scout, but with a bit more styling. 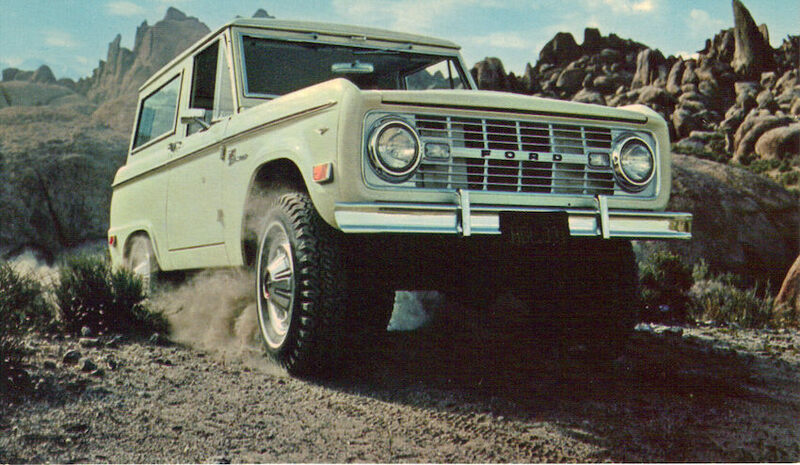 I had a Bronco II….it was a very capable vehicle, but lacked the coolness of the vintage Bronco IMHO. Best bud in college had one. Fuel mileage so bad that on road trips he actually had to use the spare red fuel cans tied to the back just to make it to the next station. Combination of heavy foot, big tires, poor vehicle maintenance. He loved that rig. great vehicle. shame Ford got rid of it & the Ranger. Surprised the 2004 concept Bronc didn’t make an appearance in the article. Had an 87 Bronco II back in college. I drove so many people everywhere. Many years later I went overseas and my dad sold it while I was away. The AC could only be used when I was highway driving, in town the engine would over heat. Invictus â€“ I allude / link to it in the last graph. The actual vehicle is far too ugly to show. Hopefully if and when it sees production they’ll have made considerable improvements. 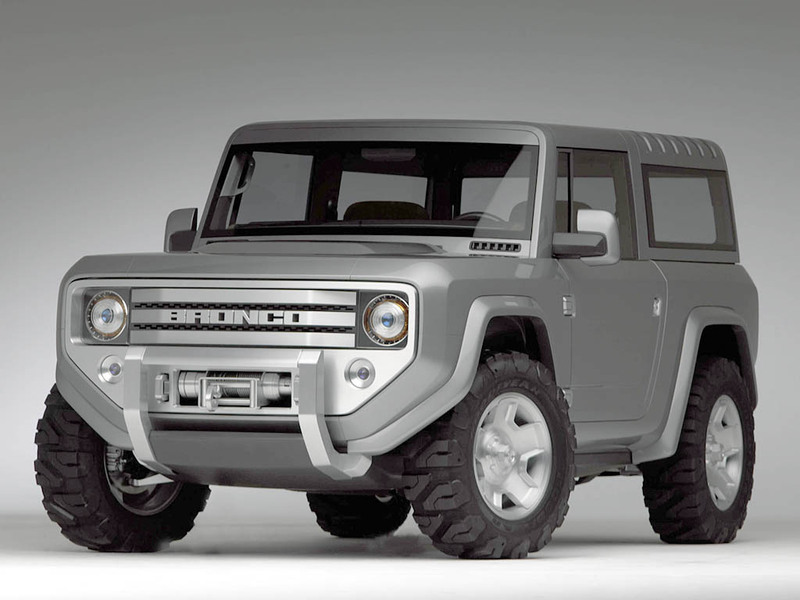 How I can order Ford bronco 2016. 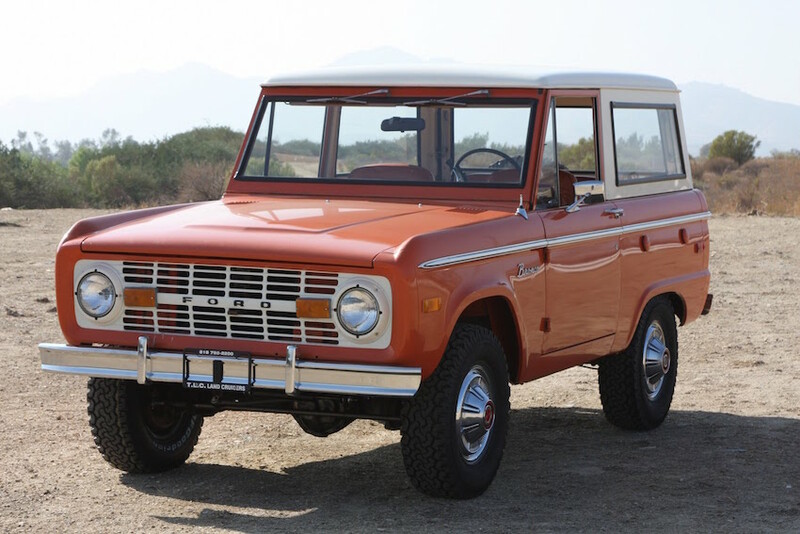 What about Al Cowlings’s bronco? 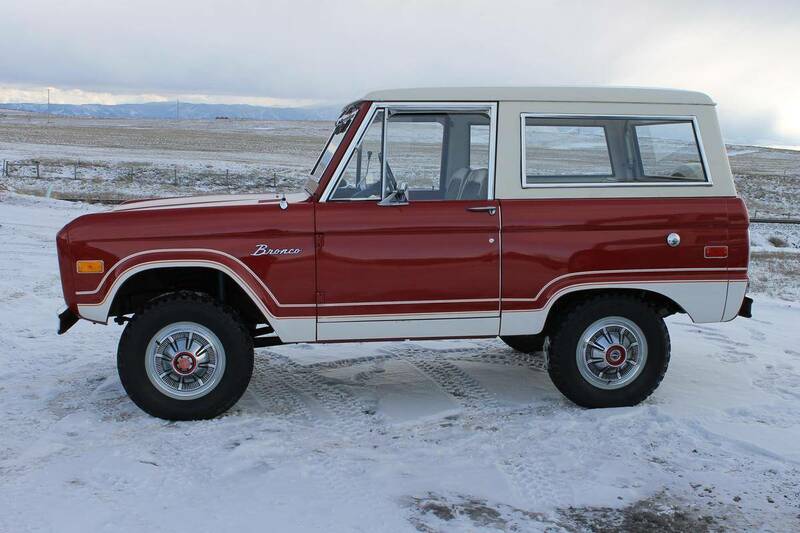 I don’t work for the auto dealer in that last post, and the truck’s already sold anyway, so I’m not trying to sell anything, just posting a link to the picture of the most beautiful Bronco I’ve ever seen. @Lloyd â€“ Pretty sweet. Definitely could make this lineup. This truck is only for hipsters…move along. 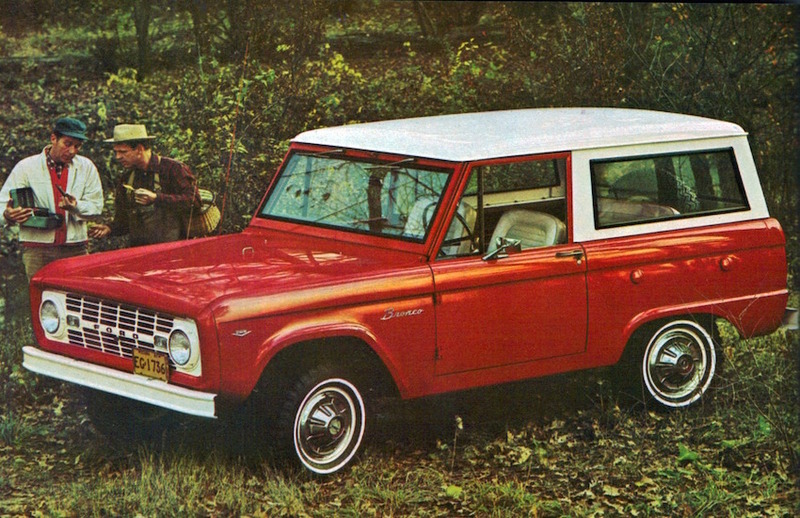 Glad to see the International Scout shout-outs, as without it, this truck would never have been born. Also neglected to mention the head to head tests done between the Scout and Bronco and Scout was victorious everytime. 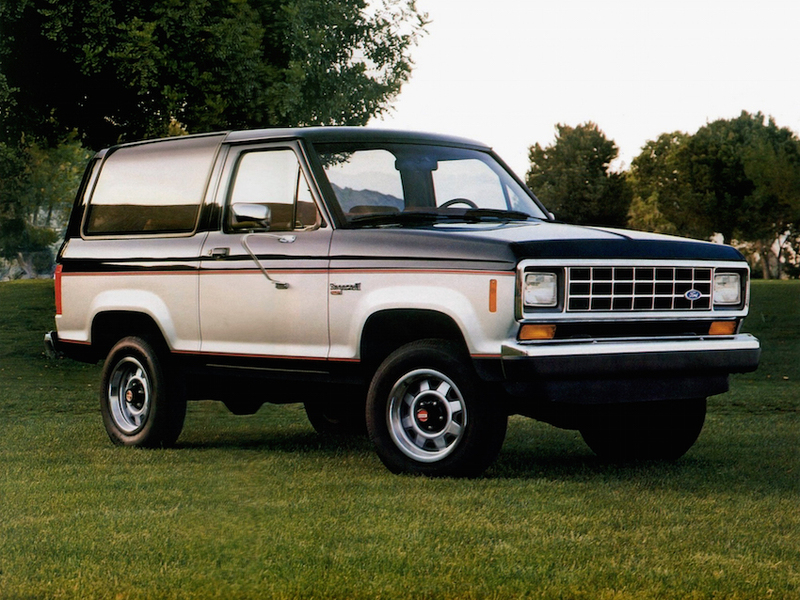 Never mind the weak frames that folded when people attempted use of snow plows or that the original design team went to Ford in the late 70’s when the Scout line was discontinued, to adapt their designs to birth the early 80’s Broncos. But they are cute, will give you that.